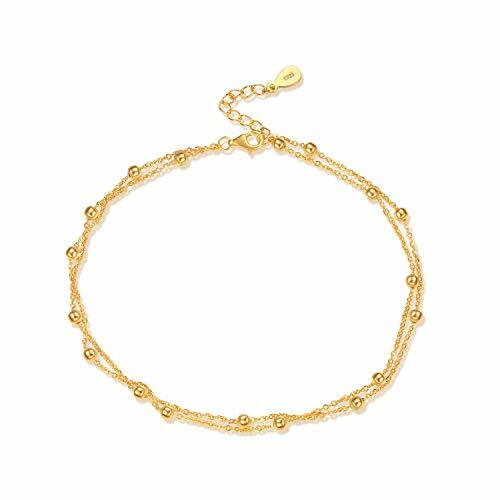 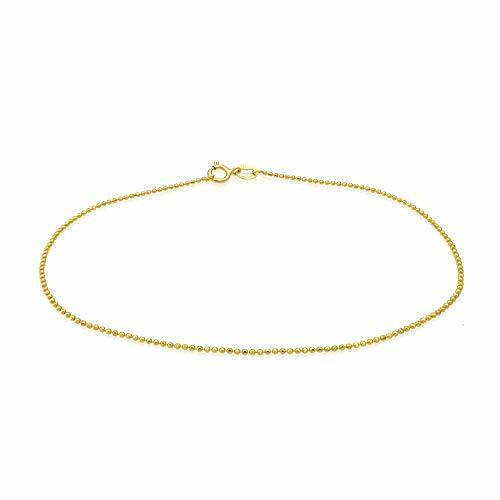 SEA OF ICE Yellow Gold Flashed Sterling Silver 1mm Round Ball Bead Chain Anklet, Size 11"
This Anklet Chain feature 1mm width, the length is 11 inches, safely secured by spring-ring-clasps. 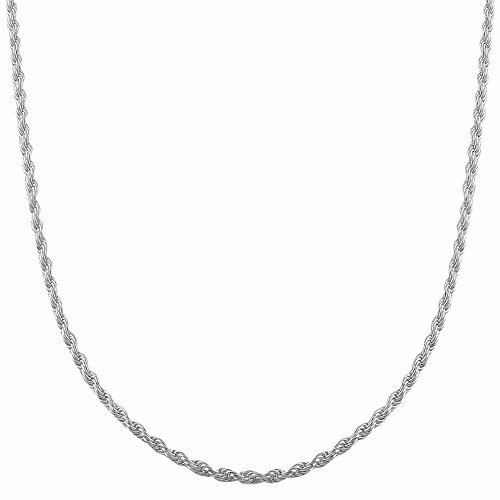 Crafted of 925 sterling silver, tarnish free and nickel free. This is a great idea gift for Christmas, New Year, Birthday, Valentine's Day, Mother's day or any other special occasion. 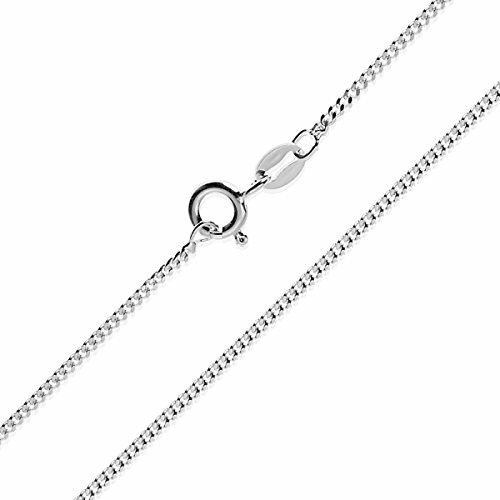 Authentic materials and the highest manufacturer standard. 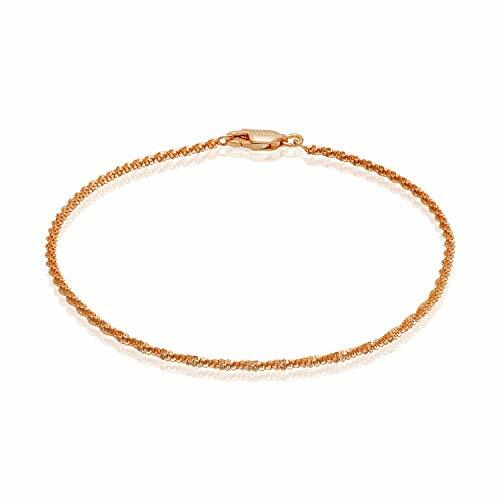 Free beautiful jewelry pouch with any purchase. 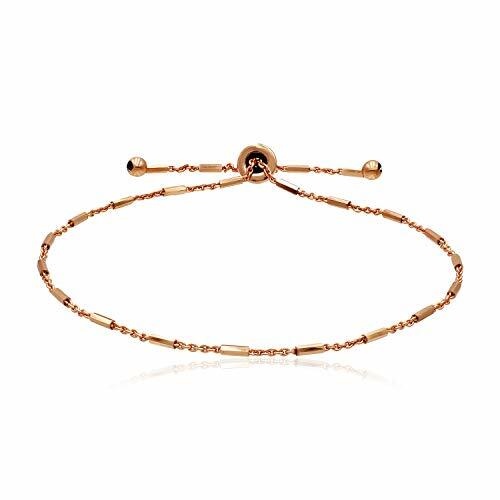 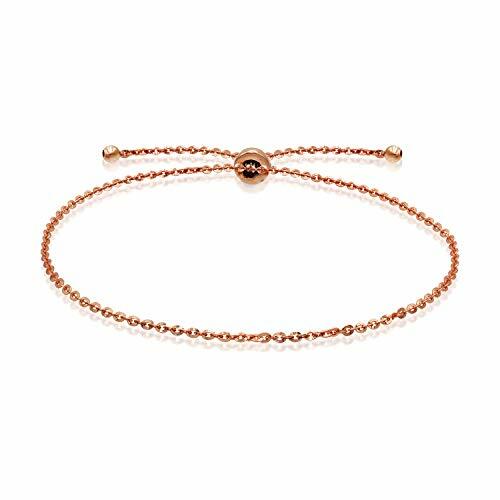 Sea of Ice Rose Gold Flashed Sterling Silver 1mm Twisted Curb Singapore Rope Chain Anklet, Size 11"
Sea of Ice Rose Gold Flashed Sterling Silver 1mm Diamond-Cut Alternate Bead Rolo Chain Anklet, Size 10"
This Anklet Chain feature 1mm width, the length is 10 inches. 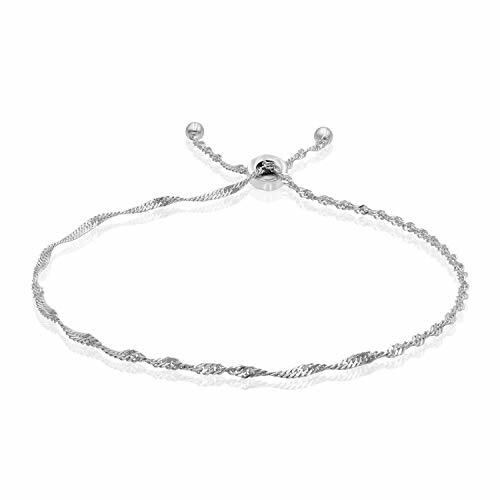 Crafted of 925 sterling silver, tarnish free and nickel free, safely secured by spring-ring-clasps. 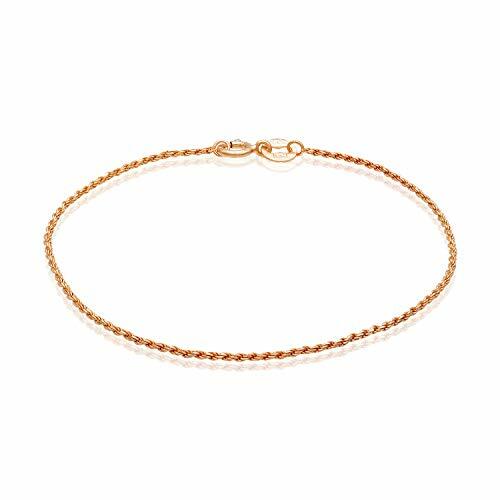 SEA OF ICE Rose Gold Flashed Sterling Silver 1mm Rope Chain Anklet, Size 10"
This Anklet Chain feature 1mm width, the length is 10 inches, safely secured by spring-ring-clasps. 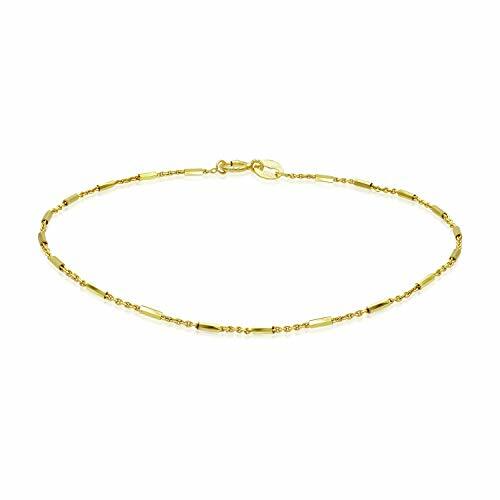 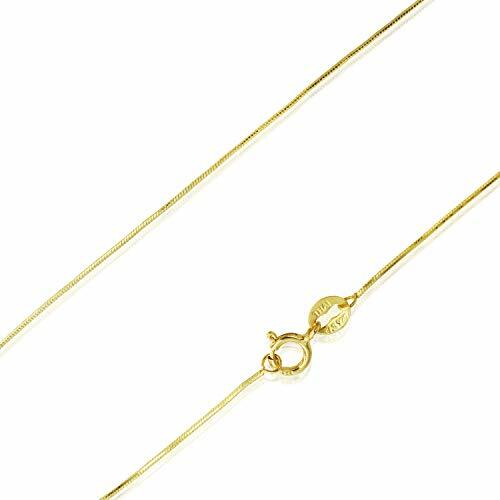 Sea of Ice Yellow Gold Flashed Sterling Silver 1mm Diamond-Cut Alternate Bead Rolo Chain Anklet, Size 10"
Sea of Ice Yellow Gold Flashed Sterling Silver 1mm Diamond-Cut Bar Station Rolo Chain Anklet, Size 9"
This Anklet Chain feature 1mm width, the length is 9 inches. 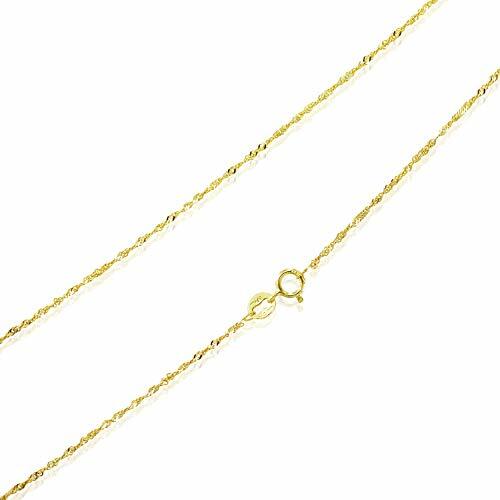 Sea of Ice Yellow Gold Flashed Sterling Silver 1mm Loose Rope Link Chain Anklet, Size 10"
Sea of Ice Yellow Gold Flashed Sterling Silver 1mm Twisted Curb Singapore Rope Chain Anklet, Size 10"
Sea of Ice Rose Gold Flashed Sterling Silver 1mm Diamond-Cut Bar Station Rolo Chain Adjustable Anklet, Size 9"
This Anklet Chain feature 1mm width, the length can be adjust maximum length is 9 inches. Sea of Ice Yellow Gold Flashed Sterling Silver 1mm Square Snake Chain Anklet, Size 10"
Sea of Ice Rose Gold Flashed Sterling Silver 1mm Twisted Curb Singapore Rope Chain Anklet, Size 10"
Sea of Ice Rose Gold Flashed Sterling Silver 1mm Diamond-Cut Alternate Bead Rolo Chain Anklet, Size 11"
This Anklet Chain feature 1mm width, the length is 11 inches. 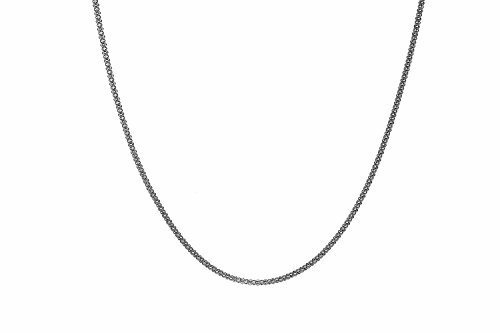 Sea of Ice Sterling Silver 1mm Diamond-Cut Alternate Bead Rolo Chain Anklet, Size 9"
Sea of Ice Sterling Silver 1mm Twisted Curb Singapore Rope Chain Anklet, Size 11"
SEA OF ICE Sterling Silver 1mm Square Snake Chain Anklet, Size 9"
This Anklet Chain feature 1mm width, the length is 9 inches, safely secured by spring-ring-clasps. 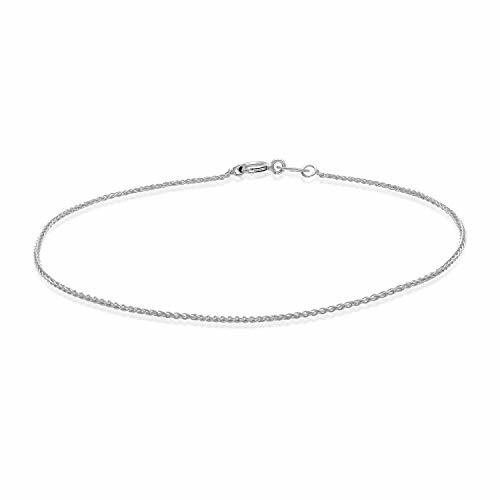 Sea of Ice Sterling Silver 1mm Sparkle Paillette Chain Anklet, Size 11"
This Anklet Chain feature 1mm width, the length is 11 inches, safely secured by lobster-claw-clasps. 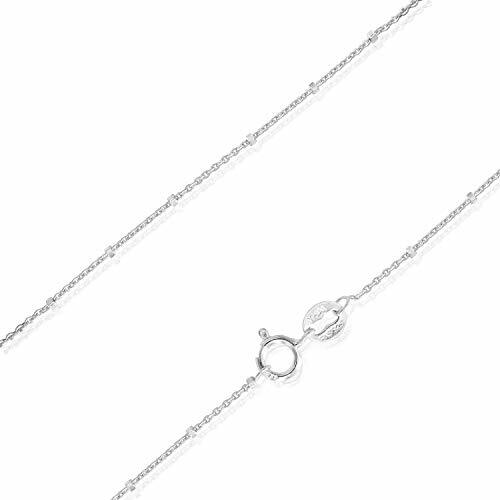 Sea of Ice Sterling Silver 1mm Diamond-Cut Bar Station Rolo Chain Adjustable Anklet, Size 9"
Sea of Ice Rose Gold Flashed Sterling Silver 2mm Sparkle Paillette Chain Adjustable Anklet, Size 9"
This Anklet Chain feature 2mm width, the length can be adjust maximum length is 9 inches. 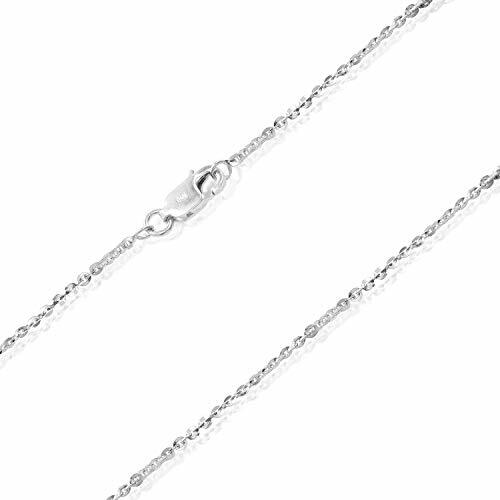 Sea of Ice Sterling Silver 1mm Diamond-Cut Spiga Wheat Chain Anklet, Size 9"
Sea of Ice Sterling Silver 1mm Sparkle Paillette Chain Adjustable Anklet, Size 9"
Sea of Ice Sterling Silver 1mm Diamond-Cut Bar Station Rolo Chain Anklet, Size 9"
Sea of Ice Sterling Silver 1mm Twisted Curb Singapore Rope Chain Anklet, Size 10"
Sea of Ice Sterling Silver 1mm Diamond-Cut Alternate Bead Rolo Chain Anklet, Size 10"
SEA OF ICE Rose Gold Flashed Sterling Silver 2mm Twisted Rock Chain Anklet, Size 11"
This Anklet Chain feature 2mm width, the length is 11 inches, safely secured by lobster-claw-clasps. 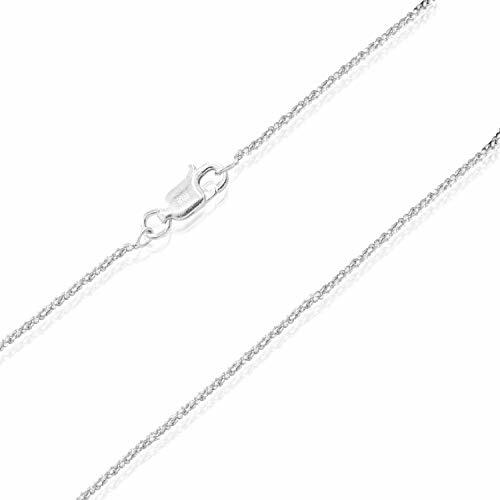 Sea of Ice Sterling Silver 1mm Square Snake Chain Anklet, Size 11"
Sea of Ice Sterling Silver 1mm Diamond-Cut Bead Station Rolo Chain Anklet, Size 11"
Sea of Ice Sterling Silver 1mm Diamond-Cut Bar Station Rolo Chain Anklet, Size 11"
SEA OF ICE Sterling Silver 1mm Twisted Curb Singapore Rope Chain Adjustable Anklet, Size 9"
Sea of Ice Sterling Silver 1mm Diamond-Cut Alternate Bead Rolo Chain Anklet, Size 11"
Sea of Ice Sterling Silver 1mm Diamond-Cut Spiga Wheat Chain Anklet, Size 10"
Sterling Silver 2mm Sparkle Rock Chain Anklet, Size 11"
This Anklet Chain feature 2mm width, the length is 11 inches. 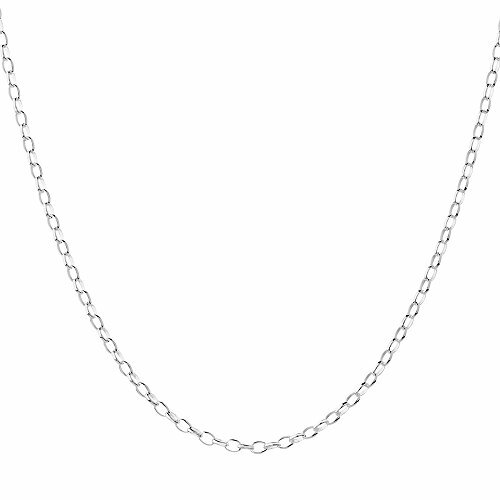 PREMIUM MATERIALS: Made of solid 925 sterling silver with your choice of 18k gold or rhodium flashed finish. 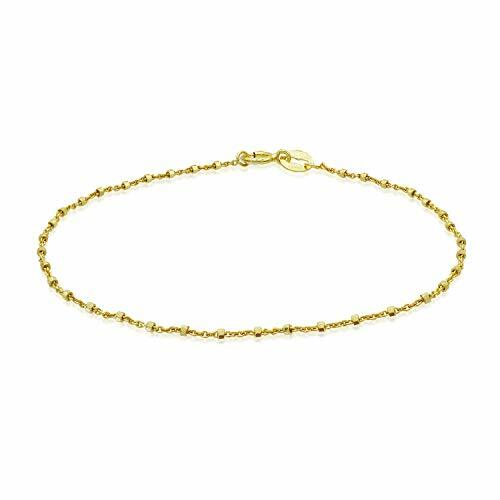 Unlike cheap base-metals, these precious metals will not harm or irritate your skin. 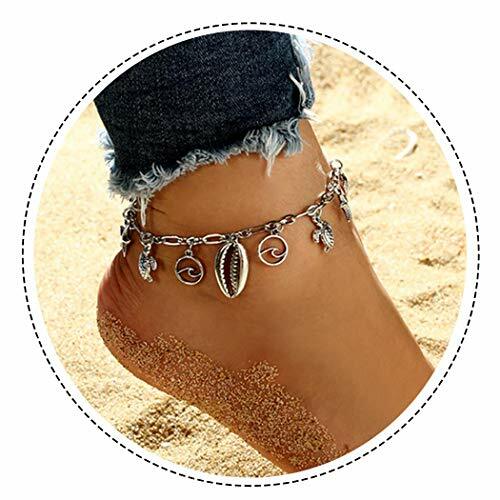 MEASUREMENTS: The anklet has an adjustable chain from 9 to 10 inches to fit most ankles. BUILT TO LAST: Crafted in either 18k yellow gold or rhodium over 925 sterling silver. Rhodium is a precious metal similar in appearance to white gold and does not tarnish or oxidize. Stamped with 925 to ensure authenticity. 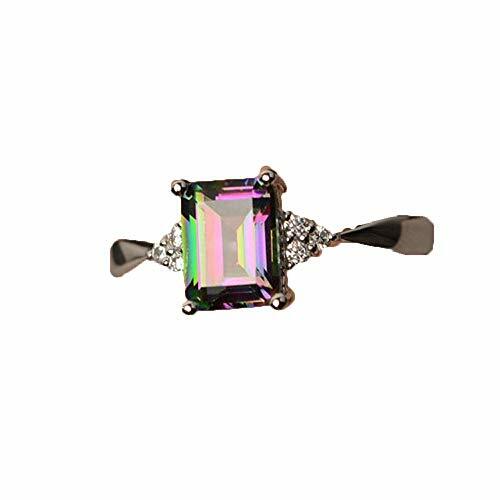 LUXE PACKAGING: Give a meaningful gift for birthdays, Christmas, graduation, Easter, or any other holiday with premium sterling silver jewelry packaged in a beautiful gift box. 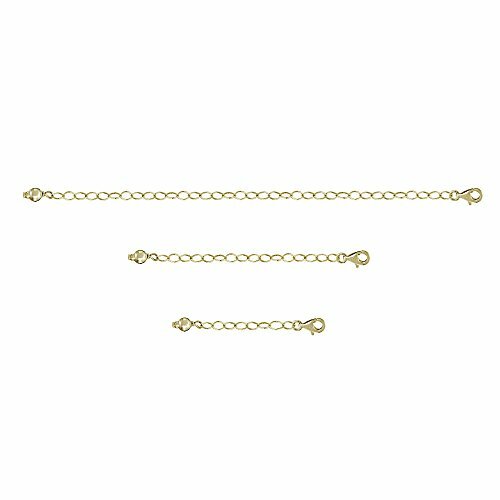 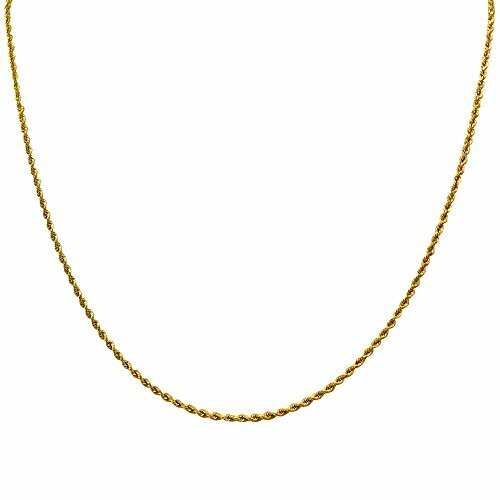 GemStar USA Yellow Gold Flashed Sterling Silver Necklace Bracelet Anklet Chain Extender Set, 1" 2" and 4"
Set of 3 Chain Extenders, 1 inch, 2 inch and 4 inches.